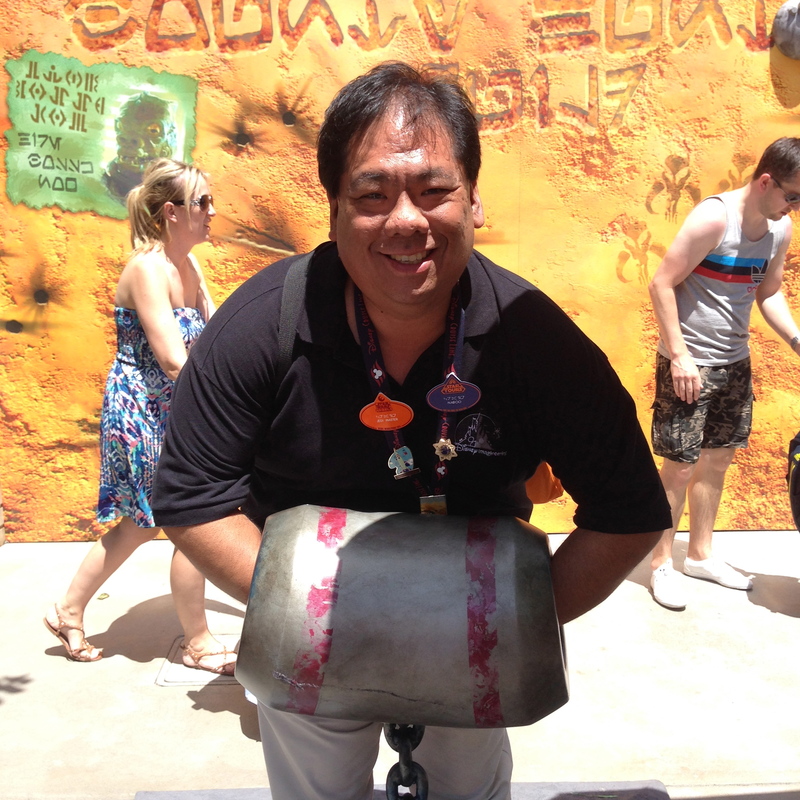 There are a ton of reasons you should attend Star Wars Weekends, but the number one reason is FUN! Especially if you are a Star Wars fan. Attending Star Wars Weekends is like going to Disney’s Hollywood Studios and finding out that it was taken over by the Empire. Stormtroopers walk the streets, Boba Fett takes over center stage, and assorted bounty hunters and heroes of the Republic can be found in photo locations all over the park. 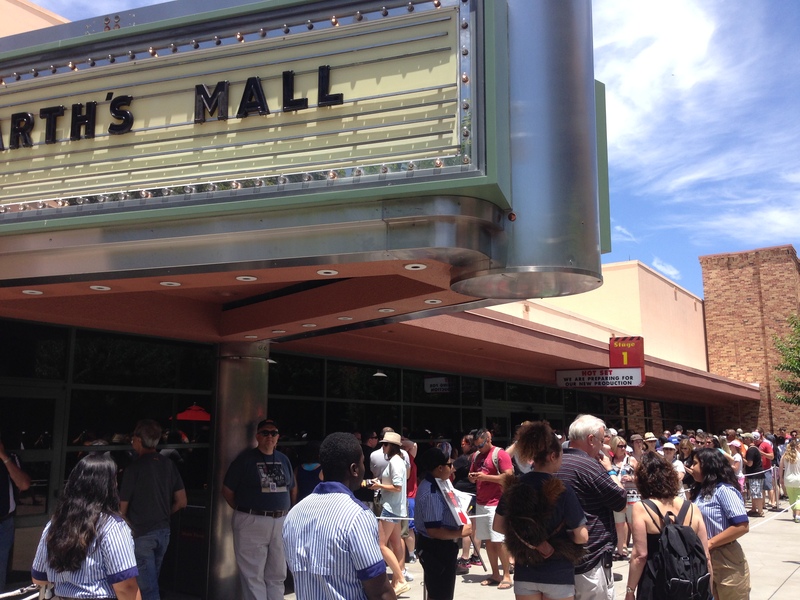 Exclusive merchandise can be found at Darth’s Mall (love the pun), autograph sessions with various Star Wars celebrities are available around Echo Lake, and unique shows and dining experiences are to be had all throughout the day. Sounds like Star Wars paradise, right? It is! But there are some things you should know before you go. These were lessons I learned in my first Star Wars Weekend in 2014. How to get autographs – Getting autographs can be difficult unless you are extremely dedicated. Depending on the celebrity status of the star, the lines will vary, but you can count on them running out nearly as soon as the park opens. To make sure you get an autograph, lines form outside the park prior to opening and guests basically have to pick one line (which is completely fair because it ensures the maximum number of people able to get an autograph). Each celebrity’s line also has standby tickets available AND you can standby AFTER the standby if you want. Depending on the speed of the celebrity and how engaging they are, the speed of the line varies. One guest said that Peter Mayhew signs extremely fast but doesn’t spend time talking to guests (pros and cons – more people get autographs, but no personal interaction). In fact, while I was waiting in line, he went to get Mayhew’s autograph and came back with time left over. Each autograph session is approximately one hour. Check Disney’s website to see who is coming for the weekend you are planning to attend. Taking advantage of FastPass+ – One thing you may not be aware of is that the FastPass+ system also allows you to reserve one show during Star Wars Weekends. It means you have to give up the ever popular Toy Story Mania FastPass, but you’ll want to be sure to catch at least one of the shows each day you plan to attend. You can wait in a standby line for the other shows, but if planning to do this, it might be best to plan standby for the first show of the day and get tickets to a later show. Since shows run nearly back-to-back if you get tickets to the first one by the time you come out for the second, you’ll be pretty far back in line. There’s a great variety and it depends on who is in attendance that weekend as to which shows will be performed, so check your FastPass+ availability on My Disney Experience as far in advance as possible! Making reservations early! – With Star Wars Weekends now approaching the end, it may be too late, but if you want to make reservations for ANYTHING do them as early as possible. Both dining experiences are a lot of fun and if you are a Star Wars fan something you should do. They may be nearly impossible to get though. Remember that the dining experiences are available all week and not just during the weekends. Disney had other experiences you could reserve like the Feel the Force Premium Package which allowed you reserved seating for the celebrity motorcade with beverages and snack AND reserved seating for the fireworks show with dessert party. That package was sold out long ago, but the Ultimate Day at Star Wars Weekends (which can not be booked online but only by calling) may have availability. For $499 you have priority seating at every Star Wars Weekend show at the Premiere Theater as well as reserved seating at the parade, expedited access to rides like Toy Story Mania and Star Tours, a private breakfast, and table service lunch in the park. Making Choices Ahead of Time and Splitting Up Your Party – You can’t be everywhere at once and especially for shows you can’t exactly cut in line, but if you strategize correctly you can take advantage of as many things as possible. Lines at Darth’s Mall for merchandise opportunities might be tough and especially on the first weekend of Star Wars Weekends it is extremely long. However, at the same time you might want to sign up your child for Jedi Academy so they can train to stand up to the Empire. I’ve seen parents literally running through the park to make sure a space is reserved for their child. And of course there are the lines for autographs. By splitting up your party you can take advantage of more choices in one day. Or do what I did and go on multiple days! 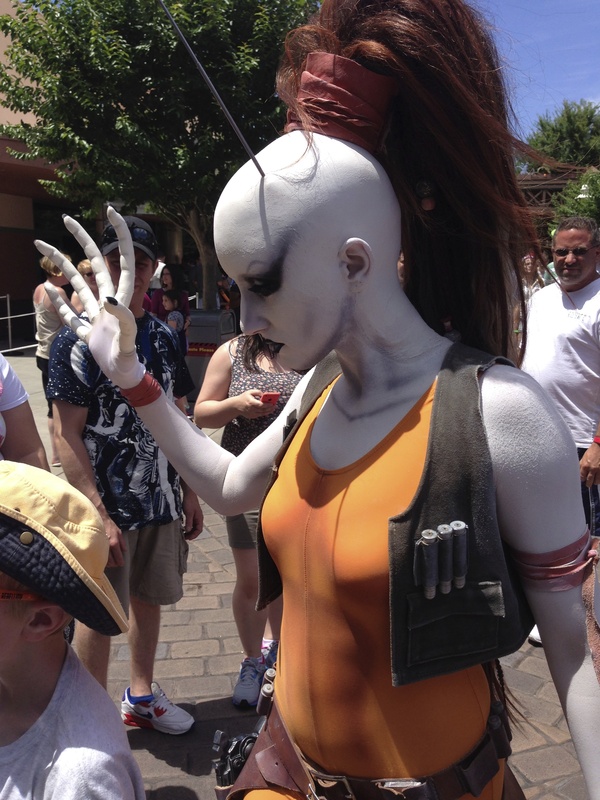 Hopefully, these hints and tips will help you as you plan your Star Wars Weekends trips! The dates for 2015 will be from May 15 to June 14 and a very special event – Galactic Gathering – will be occurring on opening weekend! Like last year’s Rebel Rendezvous, this will be a fun special event giving you unique first look at Star Wars Weekends merchandise! May the Force be With You! 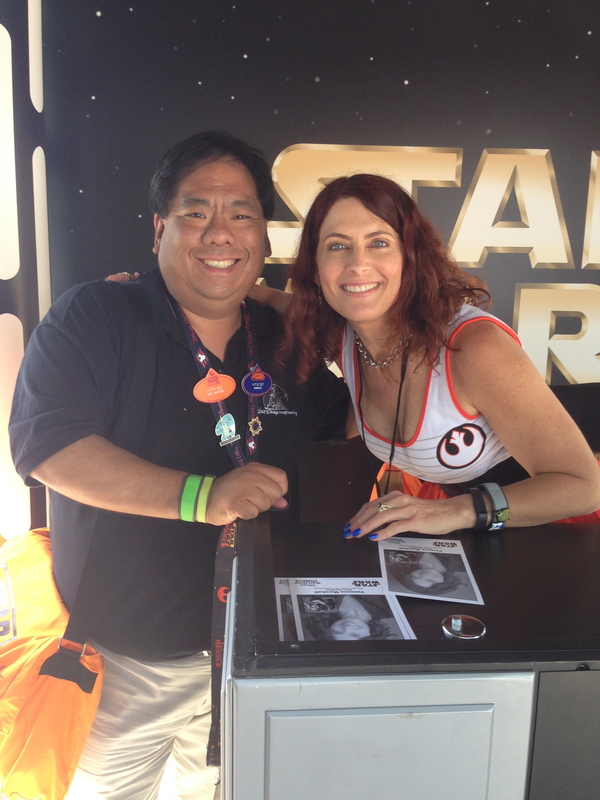 For more pics of Star Wars Weekends, be sure to visit my Facebook page and Like it!